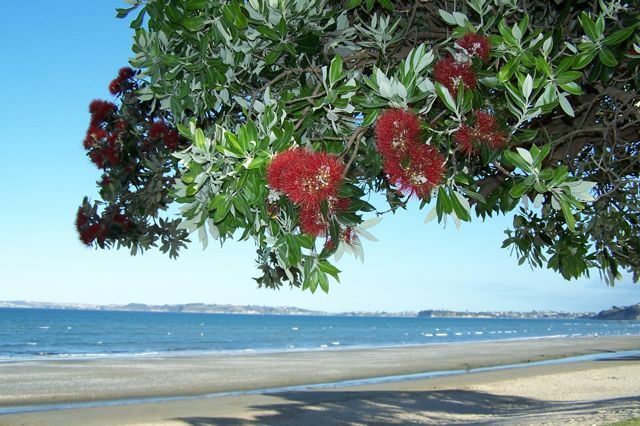 I’d just like to announce that Ross Clark and I have placed the POLLEX (Polynesian lexicon) database online at http://pollex.org.nz. POLLEX-Online currently contains 55,183 reflexes with 4,746 reconstructions from 68 languages. An awesome resource for anyone interested in the Pacific, comparative and historical linguistics, and Polynesian culture history. Databases are what will transform linguistics. Abstract: Recent excavations at the archaeological site of Nukuleka on Tongatapu in the Tongan Archipelago have yielded the largest Lapita collection of perforated Ark (Anadara) shells known to date. In this article, we focus on the unusually large collection of modified Ark shells from Nukuleka in an attempt to unravel the ambiguity that surrounds their functional interpretation. Former interpretations of perforated Anadara as shell net weights may only explain one possible cause of their construction. We proffer, through relational analogy, that we are witnessing a 3000-year-old Lapita shell game. These shells-with-holes in the 3000-year old archaeological record for Lapita have long been thought of as weighting material for fishing nets. But! 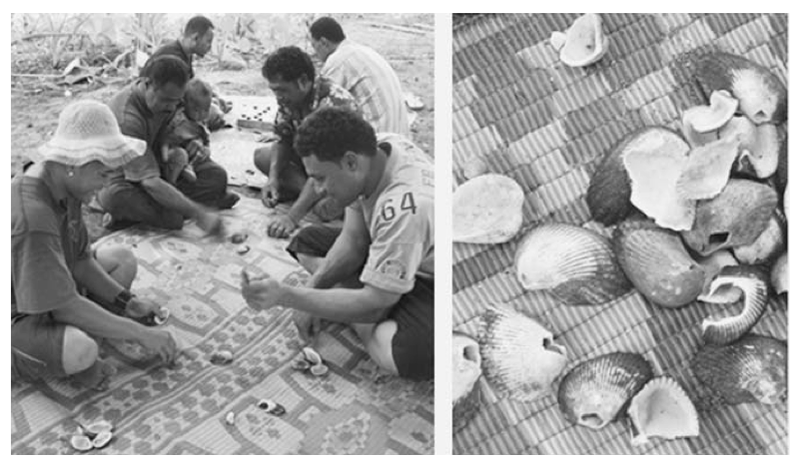 The authors describe how during the field season on Tonga the local field assistants would, in their breaks, play a shell-based game (Taupita) – and the “debris” from this game matched that of the so-called net weights. Some lovely experimental archaeology later, and while they can’t discount the idea that the shells were used as net-weights, it’s certainly just as plausible that they were the pieces in a ancestral game resembling Taupita. As a community of archaeological scholars in pursuit of ‘big’ questions and larger anthropological themes, we sometimes lose sight of the day-to-day aspects of a society, including leisure time games which are rarely mentioned (but see Culin,1975; DeBoer,2001). Games are a social mechanism that can provide a unique opportunity to develop a skill, educate, make a tool,and/or potentially create a better understanding of one’s self. Games are also fun and part of the human experience. Pacific anthropology has pulled its weight here, I think (no pun intended) – from the earliest late 19th century descriptions games were frequently mentioned, and there were detailed descriptions of string figures in a number of classic Pacific ethnographies, many published by the Bishop Museum. Honor Maude’s wonderful book on Nauru comes to mind here. I’d love to see more comparative and historical work on games – let me know if you have suggestions. *So great I wanted to blog about it straight away, causing me to deviate from the master plan for today … but at least now I won’t go and do unnecessary research for this post all afternoon? I’m watching the BBC series South Pacific on DVD at the moment, and I’m up to the third episode. The series has beautiful cinematography: astonishing ultra-slow-motion footage of waves breaking on Pohnpei was the centrepiece of the first episode, and I’m not going to forget the creepy carnivorous caterpillars in action in Hawaii or the tiger sharks eating the albatross fledglings. But the series is very much suffering from being “thematic” in the way that many modern museum collections are: without historical or geographic context, a loose set of narratives on a theme is forgettable. Set-pieces become nothing more than passing fancy for the eyes, with only the shocking or unexpected being committed to memory. It’s a great shame – as someone who works on Austronesian cultural diversity and comes from Oceania, it’s always disappointed me that there’s not been a good television series on the natural and cultural history of the Pacific. This series aspires to be that, but it’s a string of anecdotes, lurching from zoology to weather to culture, picking out the amazing (vine-jumping Pentecost Islanders from Vanuatu) and the extreme (freezing Macquarie Island with its penguins and elephant seals), with no contextual background of what the biology of the region is like as a whole, or how the fascinating and complex human settlement history has shaped the social and cultural diversity of today. Most disappointly, the anthropology has made me cringe. The series is narrated (albeit by the splendid Benedict Cumberbatch) rather than having interviewers or allowing people to speak, and it all comes across as terribly touristic and superficial. Anutans were glowing described as people living in mystical harmony with their tiny atoll environment, and contrasted with those rapacious Rapa Nui who used up all their resources. You would think there was no-one living on Easter Island today, because all we got were atmospheric shots of the moai. I’m relegating it to the background now and just waiting for the bits about keas. Keas are cool. Here’s one walking up a snowy slope with its beak. Bet you can’t do that. That’s the Journal of the Polynesian Society, if you were wondering. The Society is only up to the 1930s, but seeing as the really good ethnographic stuff is mostly pre-1950, it’s a goldmine already. JPS is one of my favourite journals. It’s regional, obviously, but its coverage within the Oceania remit is a real four-field anthropology, with history, sociology, economics, and geography as well. When I was an undergraduate nerd and used to actually go to the library and read journals I would invariably find at least one or two articles in JPS worth a read. They always seemed chatty and fascinating, especially the dusty ones. To investigate the paternal population history of populations in Northern Island Melanesia, 685 paternally unrelated males from 36 populations in this region and New Guinea were analyzed at 14 regionally informative binary markers and seven short-tandem-repeat loci from the non-recombining portion of the Y chromosome. Three newly defined binary markers (K6-P79, K7-P117, and M2-P87) aided in identifying considerable heterozygosity that would have otherwise gone undetected. Judging from their geographic distributions and network analyses of their associated short-tandem-repeat profiles, four lineages appear to have developed in this region and to be of considerable age: K6-P79, K7-P117, M2-P87, and M2a-P22. The origins of K5-M230 and M-M4 are also confirmed as being located further west, probably in New Guinea. In the 25 adequately sampled populations, the number of different haplogroups ranged from two in the single most isolated group (the Aita of Bougainville), to nine, and measures of molecular diversity were generally not particularly low. The resulting pattern contradicts earlier findings that suggested far lower male-mediated diversity and gene exchange rates in the region. However, these earlier studies had not included the newly defined haplogroups. We could only identify a very weak signal of recent male Southeast Asian genetic influence (<10%), which was almost entirely restricted to Austronesian (Oceanic) speaking groups. This contradicts earlier assumptions on the ancestral composition of these groups and requires a revision of hypotheses concerning the settlement of the islands of the central Pacific, which commenced from this region. Have yet to digest this and its implications, will read it today and update. The emphasis is mine, as it is the intriguing part. Courtesy of Sheyne Tuffery, whose art I’ve recently discovered (and love), heads-up that the University of Cambridge Museum of Anthropology & Archaeology is holding an exhibition called Pasifika Styles from May, with artists, craftspeople, performing artists, and displays of the Museums collections. I may have to revise my assertion that Oceanic cultural events are few and far between in these isles. Also, the House of Taonga (taonga means treasures/property, but also accessory or equipment), a collective of Maori artists/performing artists. Fabulous webdesign–for starters–and a talented group of people with an admirable ethic. Sailing the ocean without map or compass: Traditional navigation in the western Pacific. Navigation training and technique in the Caroline Islands. I’d love to get hold of the associated PBS documentary. Eggi’s Village: Life among the Minangkabau. A matrilineal population in Sumatra, the Minangkabau speak an Austronesian language and are part of the set of cultures I’m studying.